How Do Casino Keep High Rollers Casino Players Coming Back? High rollers, also known as “Casino Whales”, are casino players with deep pockets who make large bets. You won’t find high rollers casino players at the penny slots or the low-limit tables. These big spenders can drop thousands upon thousands of dollars in one night. Why do they spend so much? Everyone has their reasons, but in addition to wanting to win the big bucks, these players also receive the royal treatment from the casinos where they play, including great comps and lavish rewards. It is these incredible benefits that keep high rollers coming back for more. After all, who doesn’t want to be treated like a king? What sort of compensation can high rollers expect to receive? It depends on the casino. Each establishment that has a high rollers club offers their own kinds of rewards (similar to the online casino clubs) . For instance, high rollers in Foxwoods Resort casino can enjoy a variety of fun and complimentary service. This resort, located in Mashantucket, Connecticut, is best known for its High Rollers Luxury Lanes and Lounge, which includes 6 VIP bowling lanes featuring full food and beverage service. That being said, the most common comps at big-name casinos include discounted or free rooms, complimentary drinks and food and an overall 5-star service experience. Among the most generous rewards offered to high rollers include famous-chef room service, gourmet meals, front row seats to the biggest shows, limousines, chartered jets and luxury suites. 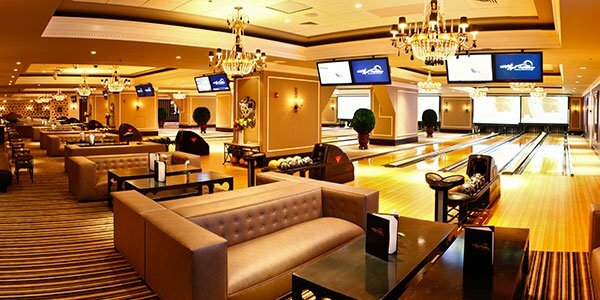 Foxwoods Resort casino offers an exclusive bowling room for his high rolling players. While the vast majority of players are not going to be betting millions, the fact that high rollers can pour thousands of dollars in cash into the casino during their visit, is the reason that nearly every casino that has table games offers credit. The idea is that the richer a player is, the higher their limit. The amount of credit offered by casinos varies and typically depends on how desperately casinos want to maintain their high rollers. When casinos fear losing their biggest spenders, they’ll often offer them more credit, giving their high-stakes players more money. For instance, during the recession, the amount of credit offered to high rollers in Las Vegas was high. In fear of losing their wealthiest players, Las Vegas casinos kept giving money to their high rollers. This lead to millions of dollars in player debts owed to the casinos. In order to cover bad debts, casinos set aside hundreds of millions of dollars in allowances. Back in 2012, Sands Casino in Vegas reportedly set aside a $492 million allowance for doubtful debts that could possibly go bad. Meanwhile, to cover their bad debts, Caesar’s Entertainment Corp. allowed over $200 million, and Wynn and MGM Resorts made allowances of about $100 million. In essence, debts were written off. Sands Casino Resort in Las Vegas reportedly offered as much as 492 million dollars in allowance for it's "whales" in 2012. What happens to high rollers who have debts? There is plenty of casino lore about wealthy players who walk into casinos and lose millions at the tables. An example of one story involves a Japanese property developer, Akio Kashiwagi, who was known as “the warrior of baccarat” because he bet up to $200,000 a hand. In 1990, he played a single legendary session of baccarat at Trump Plaza in Atlantic City for six days and lost $10 million. Two years later, Kashiwagi was found stabbed to death in his home near Mount Fuji and his estate had to pay off $9 million in gambling debts to several casinos. Lore aside, when it comes to high rollers with debts, in some cases, as was mentioned above with Sands Casino and the other gambling operators, they write them off. However, in most cases, high rollers who owe casinos money work toward paying off their debts. In fact, most casinos that offer credit currently have high rollers who owe them, which is why offering credit is not only advantages to players but to the high rollers casino, as well. Most people are happy when they’re winning, but not everyone is a gracious loser. Another interesting fact about high rollers is that when they’re losing, they can be downright nasty to casino staff. In an article by Eli Segall from the Las Vegas Sun, Segall writes about the experiences an anonymous Vegas casino host has had with losing high rollers. 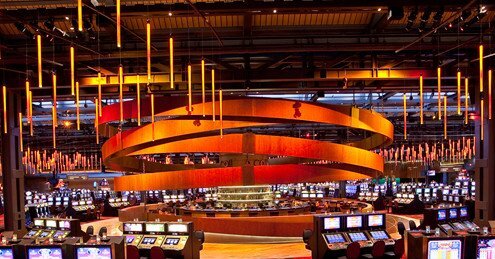 The casino host said they have seen losing players throw cards at dealers, flick cigarettes at them, blow smoke in their face and throw change at them. The host has also seen people throwing chairs, punching people, trying to flip tables and even fighting security. A customer even threatened to murder the host once. Casinos investigate their high rollers. High rollers casino establishments do their homework on their high roller players. Simply because a customer opens up a large credit line, doesn’t mean that they’re a genuine high-stakes player. Some customers only do this to look like a high roller so they’ll get the comps, but they don’t bet the big bucks. Casinos pay close attention to the casino whales because they want to make sure that they’re giving the comps to the players who are actually putting the time in gambling.